Self-care of the body, mind and breath is central to yoga. Yoga awareness helps us realize patterns and habits that may or may not be serving our health and well being. Nutritional information is a key for maintaining wellness of the body. How can we best fuel the physical body? As a result of participating in a wonderful business networking group in Tucson, I had the opportunity to learn about the free nutritional coaching services offered at Natural Grocers. Let me repeat: FREE nutritional coaching services. I participated in a one hour assessment of my eating habits with Kariman Pierce. Before we met, I kept a three day food log. Kariman was non-judgemental about assessing my food journal. She is knowledgeable, respectfully suggests alternatives, and delightful company to boot. Great source to keep food intake in balance. Kariman also provided me with printed handouts (from a filing cabinet in the Natural Grocers library of handouts) so I could dive deeper into issues relevant to me such as vitamin B12, and eating for brain health. 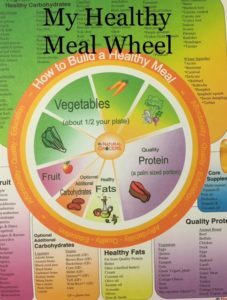 She sent me home with a graphic called the “Healthy Meal Wheel”. I have the option of another appointment if so desired. I also explored Natural Grocers store and if you haven’t visited, I highly recommend you do so. Every item they carry is vetted for standards such as: cruelty free, non-artificial colors, organic produce. See this page for full details. I purchased a few items that Kariman helped me select. I also explored their array of natural skin care and bath items. When paying for my items, I learned that Natural Grocers is a bag free environment. I was offered a recycled cardboard food packing box for the items I purchased. You can of course bring your own bags. The store was clean and an enjoyable shopping experience. *Note: This is my unbiased, uncompensated experience at Natural Grocers. The role of the Nutritional Health Coach at Natural Grocers is to be a resource and educator in the area of nutrition for customers and the community at large. How can you help people who come into Natural Grocers? I offer one hour, free-of-charge Nutrition Coaching Sessions to anyone in need of support. – overall ways to sustain energy throughout the day. I teach Yoga across the life span. 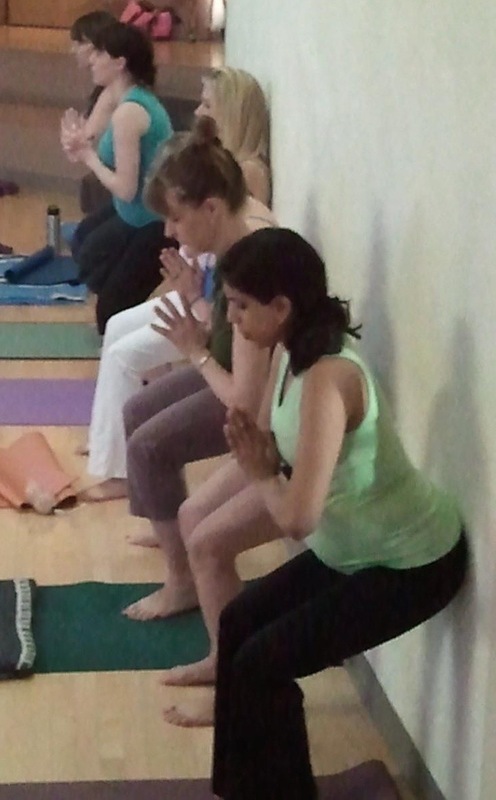 My classes include Prenatal Yoga, Balance, Bones, and Core, Chair Yoga, Gentle and Strong, and Yoga for Healthy Aging. Can you help nutritionally guide my diverse students? I am versed in many areas and nutritionally support pregnant and postpartum women. I also support nutrition for healthy aging. 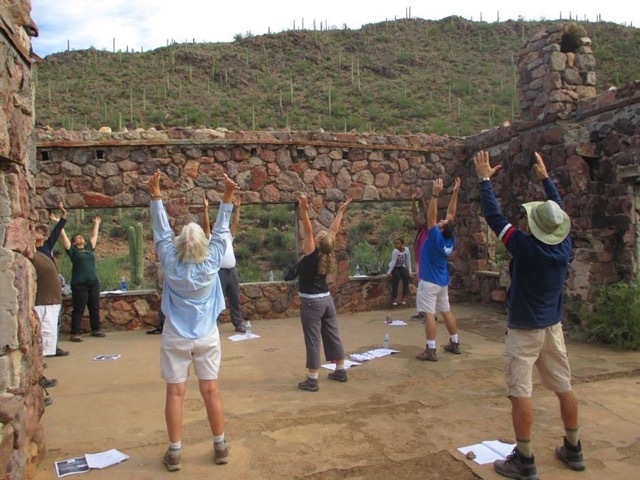 Yogis and Yoginis across the lifespan can access free nutritional services. My area of expertise and focus is around digestive health, food sensitivities and gluten intolerance. What would you say are top three nutritional changes my students can make right now for optimal health? Drink water! Dehydration is the number one nutritional deficiency in the US! Basic rule of thumb is ½ your body weight in ounces, not to exceed 100 oz. Drink mineralized water, eat high-water content vegetables and fruits, and other non-caffeinated, low sugar beverages. Don’t fear fat! We need healthy, raw, unprocessed fat in our diet, such as butter, coconut oil, olive oil and avocados. Fat allows you to feel full and satisfied during a meal. Your body uses fat as an important building block to repair tissue and build new healthy cells and hormones. Avoid trans fats (chemically altered) fats at all cost as they cause negative health consequences..
Eat close to nature. If it was grown in nature or raised in a natural environment, then our bodies will recognize it as food and use the vitamins and nutrients to keep us well. Packaged and processed food that contains refined sugars, flours and oils are not only nutrient poor but are unrecognized by the body and will create health problems. Why did you pursue nutrition as a career? In 1995, my health journey began with an unexplained stroke on the 3rd nerve of my left eye. In 2000, overnight I suffered severe peripheral neuropathy that left me unable to walk, hold a glass or feel my limbs. Doctors were stumped and I had no clear course of treatment. At this very low point in my life, I pushed forward and looked into all the “alternatives” which included a dedicated Yin Yoga practice, and a nutritional protocol. I began to heal very slowly over years. After 10 years, I was finally able to run again and play in the ocean. I began to have friends and acquaintances ask me how I was able to heal and this lead me to go into deeper study. 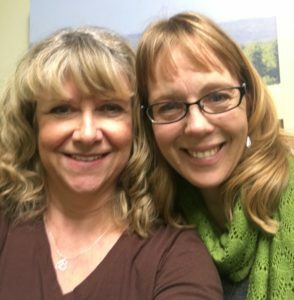 In 2012, I enrolled in the program at The Nutritional Therapy Association based in Olympia, Washington. I had small children at the time and so spread out my program over an 18 month period. It was a rigorous, low residency program which required me to travel three times for five days at a time to attend the classroom intensives. Once I became a Certified Nutritional Therapy Practitioner (NTP), I went on to gain further training with Dr. Natasha Campbell-McBride and her Gut and Psychology Syndrome (GAPS) Practitioner training. Tell us more about your philosophy and motivation regarding nutrition. 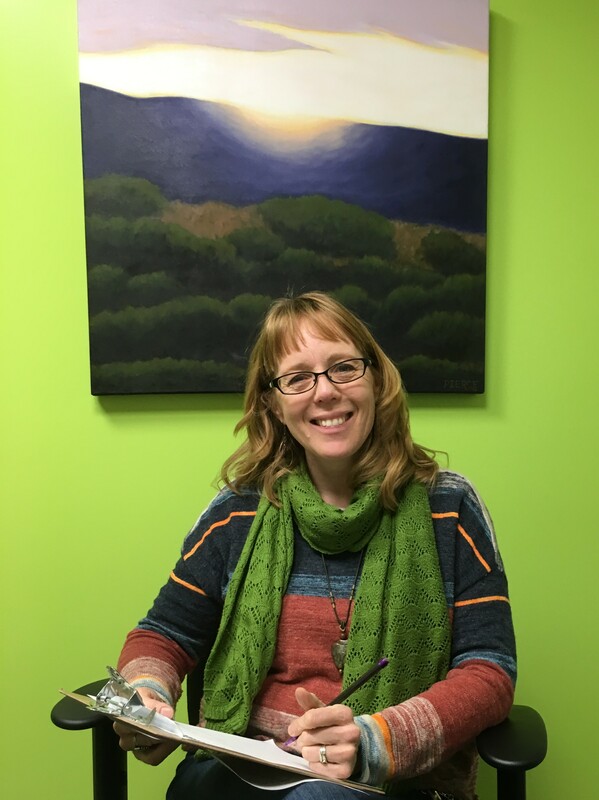 I am a Nutritional Therapy Practitioner or Nutritional Therapist (for short). I was originally motivated by my own need to find a way to heal. 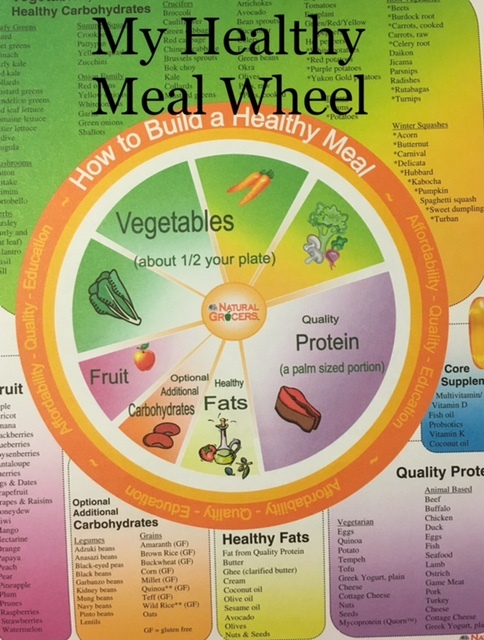 Now, I am driven to learn all there is to know in this ever-changing scientific field because I want to help others discover the power of food –one of the important “cogs” on the wheel of health. Many of us have successfully navigated parts of the whole wheel but are missing other parts. Healthy food, healthy natural movement (like yoga! ), quality sleep and personal happiness and satisfaction must all work in concert for a person to gain true quality of life. It is not about perfection but thoughtful focus and self-care and love. I offer free one hour coaching sessions and ½ hour store tours upon appointment. I teach free classes in store on a regular basis. I’m also available as a speaker and am always looking for outreach opportunities in our community. I can be reached at 520-299-0956. My office resides at Natural Grocers 5600 E. River Rd. on the southeast corner of Craycroft. There is a nutritional health coach at each location with the exception of Oracle/Orange Grove. And don’t forget to check out our schedule of Yoga classes. Including Prenatal, Balance, Gentle and Chair Yoga.